A great way for people with diabetes to manage their diet and blood sugar is by using the diabetic exchange system. It works because it's easy. There is no calorie or carb counting, and basically any food can be included in the diet. It is called an exchange system because similar foods are grouped together. All foods in a certain group will have about the same amount of carbohydrate, protein, fat, and calories. Within each group a serving of one food can be "exchanged" for a serving of something else. This helps to provide variety in the diet and aids in blood sugar management. The diabetic exchange system is centered around choosing appropriate foods and monitoring your caloric intake. In addition, diabetics must be very conscious about the kinds of foods they eat every day. In order to figure out your calorie level and find out how many servings of each food group you are allowed each day, which is often referred to as a "daily meal pattern," you'll need a calculator, glucometer, food diary, and blood sugar log. Determine your BMI status - Typically, a BMI of 18.5 to 24.9 is considered normal; a BMI of 25 to 29.9 is considered overweight, and a BMI of 30 and above is considered obese. Caloric allowance - If you are in the normal BMI range, you are generally allowed between 1,800 and 2,000 calories per day. If you are in the overweight BMI range, you are typically allowed approximately 1,600 calories per day, and if you are in the obese range, you are generally allowed between 1,200 and 1,400 calories per day. Carbohydrates - Once you've determined your BMI and caloric allowances, you need to determine the amount of carbohydrates in your daily diet. To do this, you should multiply your caloric allowance by .43, and then divide that number by 4. This is how many carbohydrate grams you can have each day. For example: 1400 (calories) x .43 = 602 / 4 = 150 carb grams. How Does the Diabetic Exchange System Work? Because these factors are all important, you must talk to your physician before you begin the exchange system. However, it is also important to remember that you should plan your meals around the number of carbs you are allotted each day. Your day should feature a balance of your allowed carbohydrates throughout breakfast, lunch, supper, and snacks. Once you know how many servings of each food group to have per day, it is important to know what the serving size is so you know how much to eat. Breads, cereals, and pasta - One starch choice is one slice of bread, ½ English muffin, ¾ cup unsweetened ready to eat cereal, or 1/3 cup pasta. Starch vegetables - Some veggies, such as corn, peas, and potatoes are in the starch group, not the vegetable group, because of their high sugar content. Their serving sizes are ½ cup of corn or peas or 3 oz baked potato. Non-starchy vegetables - A serving of nonstarchy vegetables is 1/2 cup cooked or 1 cup raw. Fruit - A serving of fruit varies, but common fruits are an apple (4 oz), banana (4 oz), and orange (6 1/2 oz). Fruit juice - A serving of fruit juice is 1/3 to ½ cup depending on the type of fruit. Milk - A milk serving is generally 1 cup of milk or 6 oz of yogurt. Meat - A meat choice is 1 oz. If you have a 3 oz serving of chicken for dinner, this is 3 meat exchanges for the day. Fats - A serving of fat is 1 tsp of oil or margarine, 6 nuts, or 1 Tbsp of cream cheese. In addition to the above items, there are plenty of free foods to choose from, including fat free items and condiments. These helpful hints will keep you on track as you monitor your daily food intake. The highest carbohydrate foods are starches, fruit, and milk. These will raise your blood sugar the fastest and the highest. Vegetables do have some carbohydrate, but if you get hungry beyond your daily exchanges, choose meat or vegetables as a snack. These will have the least effect on your blood sugar. Try to watch the amount of fat you consume. Your pattern may include 3 or 4 fat exchanges for the day, but these do not take into account the fat in the meats and milk you choose. 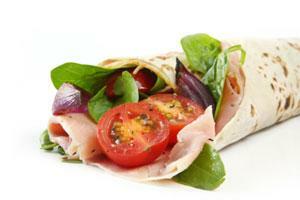 Choose low fat or fat free milk products and very lean or lean meats. Try to eat the same amount of food at the same time each day. In addition, try not to skip meals or snacks. This will help keep your blood sugar in check. While you might be able to determine your dietary needs on your own, it is imperative you visit your doctor regularly. He can help you plan and maintain a healthy diet that is designed specifically for your dietary needs. In addition to monitoring your carbohydrate intake, you must also keep a close eye on your blood sugar levels and let your doctor know about any abnormalities or extreme changes. The diabetic exchange system, if done correctly, can help you live a healthy lifestyle.